South African President Matamela Cyril Ramaphosa and his predecessor Jacob Mhlanganyelwa Zuma has issued their messages of condolence to the passing away of music legend Oliver Mtukudzi. "I am deeply saddened to learn of the passing of music legend and human rights activist Oliver Mtukudzi." President Ramaphosa said. "He is immortalized through the contribution he made to the arts, with talent that fired up all of Africa. Deepest condolences to his loved ones. From his No. 1 fan in the whole world." Zuma said the message contained in the songs of Oliver Mtukudzi carried the world during the dark and brighter times. 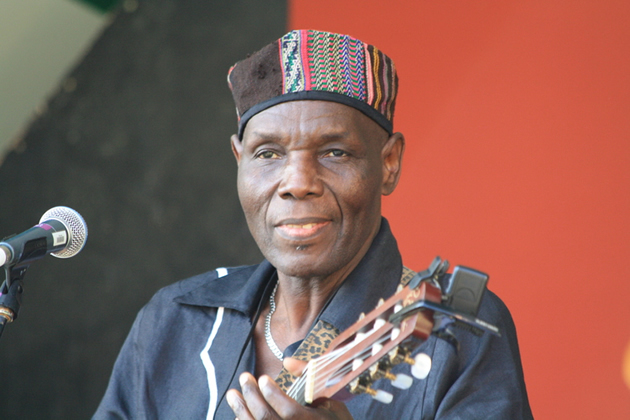 Musician, businessman and UNICEF Goodwill Ambassador for Southern Africa Region Oliver Mtukudzi passed away on Wednesday afternoon at Avenues clinic in Harare after a long illness. 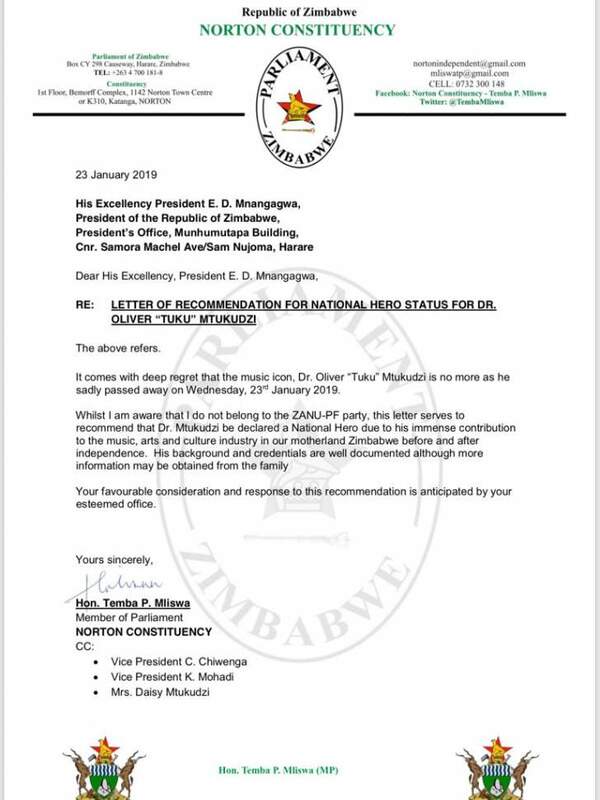 Meanwhile the National Arts Council of Zimbabwe and some ZANU PF provinces and Notorn member of parliament Temba Mliswa have written to the President Emmerson Mnangagwa requesting that a national hero status be bestowed upon Tuku.